unadka wrote: It was a "crying shame" to push Doris in that kind of movie. She is an excelent actress and deserved only the best. The major flaw aside from the screenplay of the film, Where Were You When The Light Went Out, was the casting of Robert Morse. He is an excellent stage actor and was outstanding in the brilliant Mad Men television series. He just was not right in being paired with Doris Day. They were not a good match physically. No movie audience would seriously think that Doris would be romantically interested in the Robert Morse character after being paired with Rock Hudson, James Garner and Rod Taylor. This was Doris' thirty-eight film. According to a book I read, Burt Lancaster, Marlon Brando and Richard Burton were all under consideration for this part. Imagine the possibilities that any of these actors might have brought to the part, the film and their pairing with Doris Day. I think Marlon Brando's eccentric nature and sense of humour in his film characterizations would have sparked the unexpected. It is a strong possibility that he would have brought a lot of fun to the film and played well off Doris. It is interesting to note that both Doris and Marlon were born on April 3rd 1924. Johnny - Regarding Doris and Robert Morse - the characters weren't supposed to have chemistry such as Miss Day had with numerous other leading men. It's only by chance that they find themselves in a seemingly compromising situation due to the sleeping potion that each has taken. There is no implication in the script that they have any interest in one another. Margaret Garrison (Doris) and her husband Peter (Patrick O' Neal) are happily married and the romantic pairing until she catches him with Lola Albright. However by film's end, they are clearly reconciled since she is rushed to the hospital to have a baby. The book reporting the other names in consideration must be mistaken. Robert Morse was under contract to do several films at MGM including "Quick Before it Melts", "The Loved One" and was attached to "Lights" from the onset. Richard Burton was considered for "Caprice" as were several others but Burton and his wife were filming "The Taming of the Shrew" at the time and no official offer was extended. Brando was mentioned several times as a possible co-star but I doubt that either he, Burton or Lancaster would have seriously considered the Waldo Zane role in "Lights" since none were known for their comedic talents and the role required someone who could play the part broadly. Thank you Paul for the factual information and valuable insights. I appreciate your expertise and follow your posts with great interest. The David Kauffman book listed the three actors mentioned. I reference other authors on Doris such as Tom Santopietro, A.E. Hotchner, Alan Gelb, Eric Braun and magazine articles. As with many of the screenplays in Doris Day comedies, there is the element of (or appearance of), deception. In Where Were You When The Lights Went Out, I wonder if the film would have been funnier and more interesting with someone like Tony Curtis in the Waldo Zane part. Johnny - Either Tony Curtis or Jack Lemmon would have raised the comedy of the Waldo Zane role to extraordinary heights. As it is, the sleeping potion scene works so well mainly because Miss Day is amazing and effortless in how she handles a line like, "Hello Peter, so you're here". When I saw this at Radio City Music Hall with 6,000 other people, the roof was almost raised due to the howls and laughter. the scene also earned several bursts of applause. I think Lemmon or Curtis would have only increased that comic factor and been up to the level of Miss Day! Johnny - I think, too, that Marty through Arwin Productions and with an assist from Rosenthal, would not have paid these actors what they were commanding at the time. Burton was getting one million per film PLUS 10% of the gross, not profit, so whether it made money or not, Burton got his share. Likewise, Lancaster was earning more than $ 500,000 per film plus had his own production company that would have also been involved in decision making and profit participation. Marty, whenever possible, chose a leading man who was "economical". (Richard Harris, Peter Graves, Robert Morse and even Brian Keith). They were all paid between $ 100,000 and $150,000 for their roles. The same with Marty's choice of Directors. Ralph Levy and Hy Averback for instance, were mostly known for their television work and were delighted to work for under $ 50,000 to direct. Having someone like a George Cukor or William Wyler, would have raised the budget several hundred thousand. Marty couldn't seem to see that having some of these other names involved would also draw more at the box-office and even if Arwin had to share profits, the profit would have been considerably larger and possibly the film's prestige. "Josie" with two legends, together for the first time (John Wayne) would have created much more attention and would never have played the lower half of a second bill as it did in some locales. The short sightedness that Marty showed in selecting projects like this brought her film career to a screeching halt. At this point, it became all about feeding the money pit, AKA - Jerome Rosenthal - not about looking for top drawer scripts or hiring the best directors to take her to the next level. Doris could have enjoyed another career renaissance with the right director, leading man and an intelligent script. Marty knew how to do this - he guided her brilliantly when she left WB and made what were arguably the best films of her career. And he did it again - certainly Doris had a hand in this too, no intent on my part to diminish her contributions - when she signed for Pillow Talk in the wake of the disappointing Tunnel Of Love and It Happened To Jane films. Every artist who enjoys a long and impressive career has to recognize when the current wave of artistic achievement and commercial success has run its course. They have to know when it's time to reinvent and refresh in order to flourish over the long haul. In the late sixties, Doris was prime for a major game changer, one that would have reminded audiences and the industry of her range. Instead, we saw one formulaic film after another that were little more than futile attempts to keep Rosenthal at bay. Whether Doris would have accepted a film that was more in tune with the turbulent times is another matter. She could have easily played the Joanne Woodward part in Rachel, Rachel or been absolutely stellar in the Glenda Jackson role in A Touch Of Class. I could also see her being delightful in Same Time, Next Year provided she was comfortable playing an adulteress or as the title character under Marty Scorsese's brilliant direction in Alice Doesn't Live Here Anymore. Michael - So true what you are saying. It's interesting to note that some of the other top female stars of the 60's including Elizabeth Taylor and Audrey Hepburn, were working with more top-flight directors. Audrey worked with people like Blake Edwards, George Cukor, Stanley Donen and William Wyler to name just a few. Elizabeth worked with Vincente Minnelli, up and coming Mike Nichols, Franco Zefferelli, acclaimed director Joseph Losey and others. When a strong producing partner was on-board (Ross Hunter, Joe Pasternak), the quality of Doris Day's directors was better. 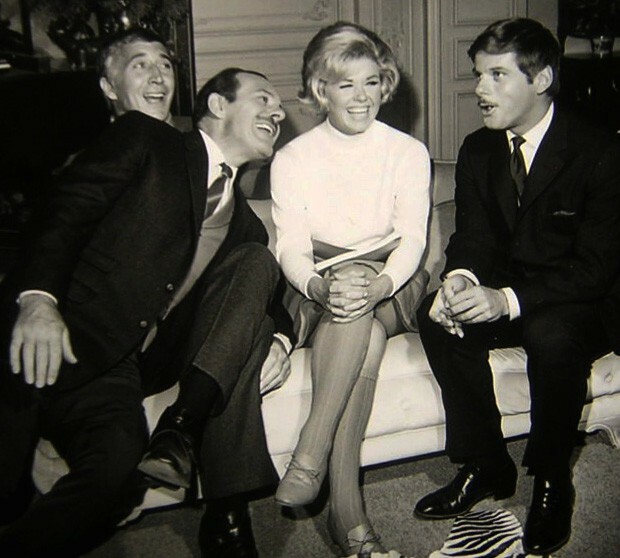 Certainly Michael Gordon had a long and successful career as did Charles Walters who had worked with Garland, Astaire and Rogers, Gene Kelly and would direct Cary Grant's final film in 1966. Delbert Mann was also no slouch. However, as Marty began to take charge more and more, the quality of the directors was tending toward average at best, although Frank Tashlin certainly deserves a tip of the hat. It's not that the "big" directors didn't want to work with Miss Day because they did. Mike Nichols certainly did. George Cukor wanted to as did celebrated writer Arthur Laurents. William Wyler asked for her in the early stages of "The Children's Hour". The Cukor/Laurents project would have probably been a real career winner. "Do I Hear a Waltz" had been a mild Broadway musical success but received good reviews. Richard Rodgers wrote the music and Stephen Sondheim the lyrics. It's the same story that had been successfully done as the stage hit, "The Time of the Cuckoo" and the Katharine Hepburn/Rosanno Brazzi film, "Summertime" directed by David Lean. Miss Day would have been playing a 40ish spinster on a vacation in Italy who unexpectedly falls in love. This was in 1965/66 and Cukor was hot off his Oscar winning effort, "My Fair Lady" and would only do "Waltz" if Doris was attached to the project. When Marty heard "40ish spinster", he refused to discuss it any further. Another lost opportunity. What a cinematic event that would have been, can you imagine? I've often wondered what Doris would have done with Sondheim's complex lyrics and challenging melodies. Her gift for telling a story through song seems a perfect match for his contemplative, introspective style. This is exactly the kind of rich material that she should have been given at that point in her film career. Consider the additional life experience she would have been able to tap into at the time: the longing for a happier and more fulfilling relationship and how that dynamic might have paralleled the character's yearning for something more. Thank your for sharing that tidbit with us. Where Were You When The Lights Went Out opened on May 30-1968. There were some interesting details reported in David Kaufman's book on Where Were You When The Lights Went Out. The Lights title was instantly recognized as a reference to the New York blackout of November 9, 1965. It affected more than thirty million people in New England and eastern Canada. The Director Hy Averback worked with Doris two decades before when they both toured with the Bob Hope Show. he directed the TV comedy series F Troop. "New York mayor John V, Lindsay had recently made the city a more film-friendly town by establishing an office to help movie companies deal with clearing locations and security. Lights was one of the first pictures made with the city's utmost cooperation. The scene in Grand Central Station - which figures so prominently when the lights in the picture do go out - involved 500 extras; other scenes required blocking traffic from Times Square." Is there any place to watch or buy this movie? It's available on VHS mostly. In Tom Santopietro's book Considering Doris Day, he writes"There is only one word to describe Day's next film Where Were You When The Lights Went Out?:terrible. Only The Tunnel of Love ranks lower in Day's thirty -nine movies. By film's end, not only the question, "Why was this film ever made?, lingering in the air, but what resonates most strongly with the viewer is the sense that the ever- optimistic and energetic Doris Day looks tired throughout as if even she barely had the energy to put up with this silliness. The last part of this criticism is difficult to accept regardless of the quality of the script. Doris Day committed fully to her film characters and never looked tired unless her character had this requirement. Morgan Freeman is seen briefly as a Grand Central Terminal commuter but does not receive on-screen credit. The film was the fourteenth starring Doris Day to premiere at Radio City Music Hall in Manhattan. The MGM release earned $7,988,000 at the box office in the US, making it the 16th highest-grossing film of 1968. Looking at the 50 ratings of members of the Doris Day on Where Were You When The Lights Went Out, nine people voted it poor. Twenty-four members rated it as average. Eleven people rated it as good and six rated it as excellent. Where Were You When The Lights Went Out was released on June 19, 1968. Seems a bit presumptuous of the author to comment "what resonates most strongly with the viewer . . ." Probably he should have written "what resonates most strongly with THIS viewer" instead. At any rate, I could bear to watch this movie only once, years ago, and so I don't remember thinking that Doris looked tired in it. What do I recall is that she mentioned in a later interview that she spent a lot of time during the filming being treated for a painful back issue. If any viewer thought she looked tired, I would bet that was the cause. Don't think it's a great film, but it surely has it moments. When Doris arrives at the "weekend" house after she found her husband Patrick O'Neal with the reporter in his arms. The sadness and reactions/actions off Doris are very believable. The lightening of the fire, preparing to go to sleep on the couch, the wine drinking... it all fits the mood. 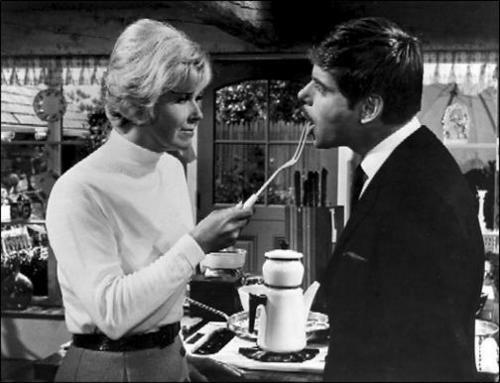 Later in the film, the kitchen scene where Robert Morse tells Doris about her mole... very funny moments there. This film is directed by Hy Averback, he worked years earlier with Doris on 1948/1949/1950 The Bob Hope Show as the announcer. Well, Doris doesn't look tired there. I agree with Judy about Tom Santopietro's comment - you can't possibly know how audiences feel about details like that. Always a great day with Doris Day! atdtsaudtcom from Memphis, Tenn. This movie was next to the very last movie that miss day made....it has been criticized as being a terrible movie....i disagree....this movie has some very funny moments, mostly because of miss day but the cast is not bad.....most of miss day`s movies around this time were being laughed off with Doris being wrongfully accused of trying to hold on to her virginity which was groundless because really if they were to examine miss Day`s films, she actually was married in most of her films including this movie " where were you when the lights went out?" so really all those tired jokes about her playing a virgin all the time were and are, erroneous...while this movie is not the best movie she ever made, she still gives it her all and it is indeed worth watching and so interesting to see miss day take a movie such as this and milk it into a pleasing comedy, which, is a tribute to her talent and professionalism...have a great day with Doris Day!! 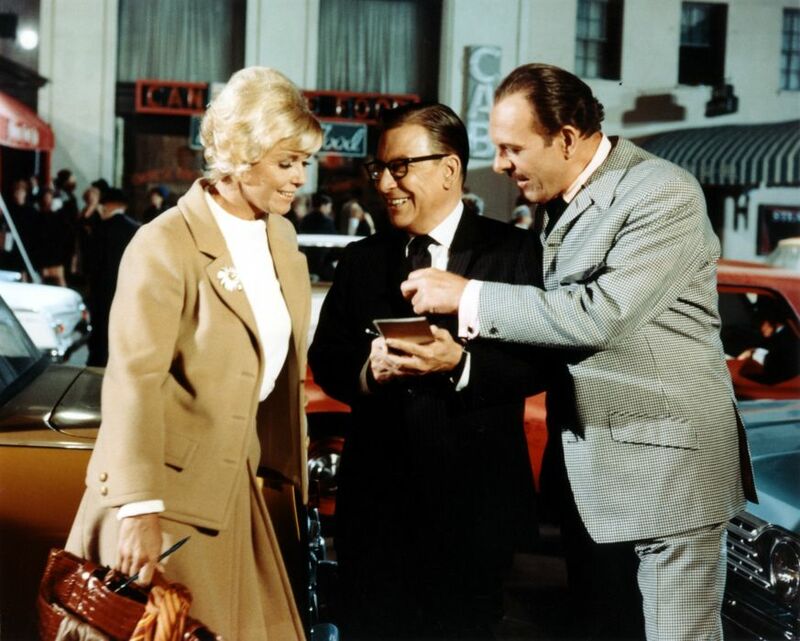 Doris Day has always been fun to watch as she brings her characters to life on the screen. She can play such a broad scheme of emotions, often switching gears in a second. She was particularly delightful as Maggie Garrison, the very happily married wife of Peter Garrison. Then they hit a bump in their relationship--the same night that the the power goes off in New York and the NE part of the country. Maggie retreats to their country home and Peter follows. But this is made more challenging by the loss of power and all the people stranded everywhere. Doris Day is at her funniest when her husband finally does catch up with her and she's so sleepy she can't stay awake. Various coincidences and misunderstandings add up to an amusing and enjoyable film. Also of note is Steve Allen's performance as the Radio Announcer and it was fun to see Pat Paulsen as the Conductor. Both of these characters contributed to the atmosphere during the blackout. It's interesting to note how these New Yorkers in the 1960s handled the power outage, now that we've experienced 9/11. I came across Where Were You When the Lights Went Out? Tia Mont: First time seeing this. I just love Doris Day. She is wonderful in anything. Thank you for posting. Meringue in Sugartown USA replied to Tia: You're welcome! I love her too! to spend half the movie in a pair of men's pajamas and is shown sleeping with her mouth open. It is a demeaning sight and situation a Brand X sitcom that any one of a thousand other actresses could have played. 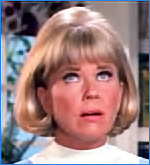 There is nothing unique that Doris Day can bring to the role. No one could"
In Wikipedia, it states that Where Were You When The Lights Went Out, was the fourteenth film starring Doris Day to premiere at Radio City Music Hall in Manhattan. The MGM release earned $7, 998, 000 in the US, making it the 16th highest grossing film of 1968. The only thing left to say is the box-office numbers prove that Doris Day remained a huge draw until the end of her twenty year film career. No matter how dismal the material was, audiences went to see her films because she was the headliner. How rare is that - perhaps only John Wayne could rival her enduring popularity at the time. Whatever life this listless film has comes from Doris and her interplay with Robert Morse. The rest is subpar and we all know why she had to do the movie. I've only seen it once and that was enough for me. And on the director scale, Hy Averback is several notches below the likes of Delbert Mann, Norman Jewison and Michael Gordon. I'm glad With Six You Get Eggroll became the bookend to her film career. It was a significant improvement over this strained comedy. All points well stated, Michael. Agree completely. I think Santopietro's use of the term "flaccid" is accurate (albeit kind). "An actress he had difficulties in working with"
"Although the European films allowed him to travel and gave him a constant source of income, he received bigger fees from his less-frequent engagements in US films, which he continued to appear in, joking that he "knew the fat cheques in the pipeline were endless". One of the bigger fees came with Gene Kelly's 1967 film A Guide for the Married Man; he was disappointed by Kelly's direction, later saying "I found him a very prudish director, not as imaginative or experimental as I would have liked". 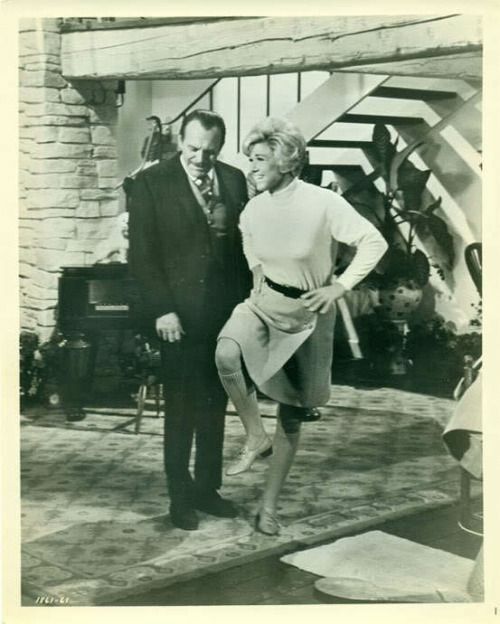 Terry-Thomas had more time for the actress with whom he shared his short scene, Jayne Mansfield, commenting that "I found her rather intelligent to talk to and felt quite shattered when I read about the gruesome car accident that killed her". "An actress he had difficulties in working with was Doris Day: in the 1968 film Where Were You When the Lights Went Out?, which was produced by her husband Martin Melcher. Day would instruct Terry-Thomas how he should act in a scene (he would "listen ... politely, then do it my own way, as if the conversation had never taken place"). She would also launch into improvisations while filming; director Hy Averback would mimic a scissor action behind her back to signal to Terry-Thomas that the material would be duly cut from the final print. The result was a film that Geoff Mayer called "limp", and Christopher Young described as "such an uneven movie that misses so many opportunities for real comedy". Thinking about Doris' positive relationship with cast and crew members during her film career and their kind remarks, (Rock Hudson, James Garner, Polly Bergen. Eve Arden): I wonder if Terry Thomas' co-stars spoke kindly about working with him. Doris may have been trying to be supportive and encouraging to create a good scene as opposed to directing him. I think it was more than likely that he had difficulty in understanding her support and professionalism. It could also be that he resented being helped by a woman. Doris' reputation in the film industry was one of professionalism, thoughtfulness and kindness. I never thought Doris was the type of actor who gave other actors direction but she may have been so unhappy with the script and Hy Averback's limp direction that she felt she had to step in. Imagine enduring the likes of Do Not Disturb, Caprice, Josie and now this. All things considered, I can't say that I blame her. She had to know her film career was in serious trouble by this point. And where was Marty? He got her into this mess and was probably playing golf or tennis while she was trying to make things work on set. I think Michael's theory is probably correct. Also, there are good actors (Henry Fonda was an example) who sometimes don't even like it when the director -- let alone a fellow cast member -- thinks they should play something differently. Maybe Terry Thomas was that sort of actor? I thought it was funny. The thing is that Terry-Thomas always plays himself, it's like asking Dom DeLuise to act differently! Doris was probably trying to be helpful or compensate for being in a film she didn't want to be in. She didn't like the script so she can't have liked her role. It wasn't really her and she seemed to just drift through it - but she may have thought she could still save the film.